Easily charge and sync your device and holds your phone at a very comfortable angle for viewing. Compatible with Lightning 8 Pin USB cable or wall charger (both not included in this listing). 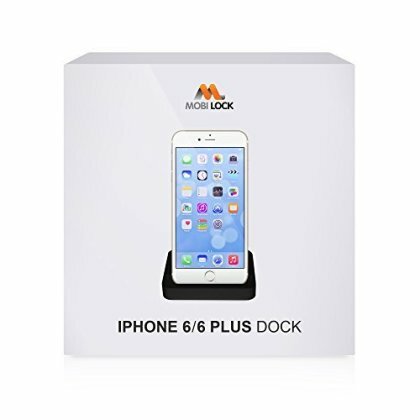 Insert cable/charger at the back of the dock and place your device on the dock to use. Lightweight and Portable. Can be used anytime, anywhere. Compact and great for travel.